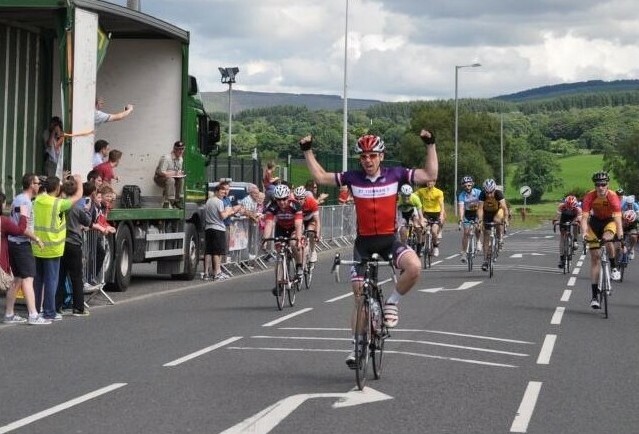 July 3, 2014 – Congratulations to Adam Greally, who won the final stage of the Tour of Omagh and took third in General Classification at the three-day race for A4s. Well done also to James Kelly, who was hot on Adam’s heels taking 21st. Adam and James were supported by Directeur Sportif John Malone with the rest of the team consisting of Dermot Doherty and Daragh O’Toole. No Replies to "Adam Greally wins final stage of Tour of Omagh"